Lets now going up for 2013 season. The Webcam located at the Turriff bridge is now live. To view either click here ,or click the 'Turriff Bridge' icon in the Webcam section. Guideline are one if not the top selling quality brand in Scandinavia. Based in Sweden their reputation is built on quality. 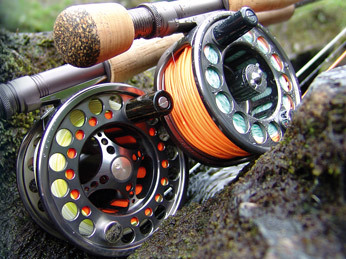 They have a range of rods to suit all pockets and the first reviews of their rods in the UK have come top in the trout rods and in the top three for the Salmon rods. These rods are absolutely fantastic and the LPXe range are based on the Loomis GLX but come in at half the price. The LPXe Starts at ££199 for a 9' and rises to £300 for the 15 ' and the Alpha range from £108 for an 8' to £182 for a 14' rod. Starter kits are also available. The premium range is the LE CIE and it ranges from £196 for a 7'6" to £414 for the 15'9" double handed Spey 10/11. 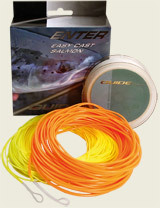 They all have a fast action and perform phenomenally with a shooting head line and are unbelievable with a Spey line. There is a range of clothing and their sister company in Norway is one of the leading manufacturer of mountaineering clothing in the world- so they know a thing or two about the elements. 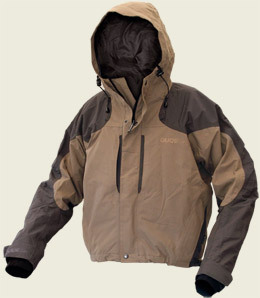 They have three ranges of breathable waders and are made in the same factory as Simms. These range from £218 to £248. These products are so new My price list is in English with some brief descriptions but the Catalogue is in Swedish. The hype surrounding these rods is such that the early models sold within three days of arriving. Below is a selection of the products . 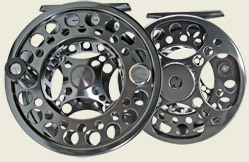 Please feel free to telephone for any further details you require as to the rod range etc. Copyright 2011.Turriff Tackle and Trophies. All Rights Reserved.